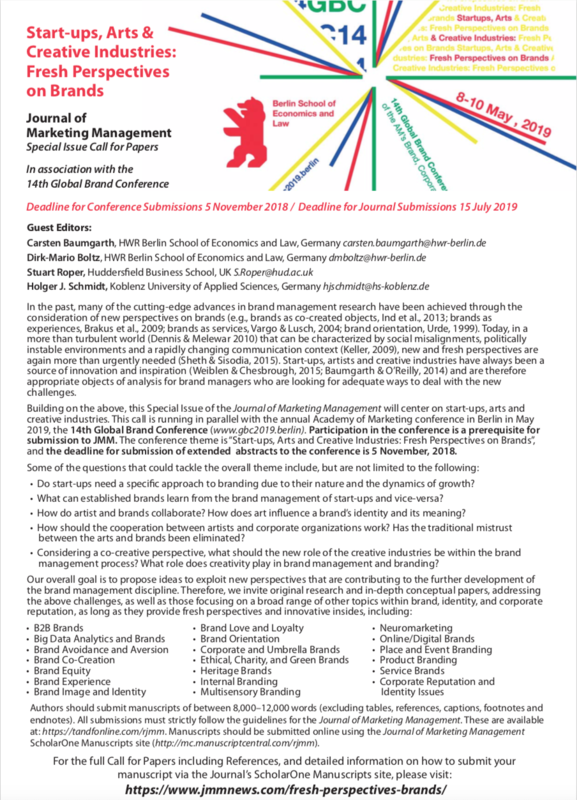 The conference chairs will edit a Special Issue in the Journal of Marketing Management which will center on start-ups, arts and creative industries. This call is running in parallel with the conference: Participation in the conference is a prerequisite for submission to JMM. The closing date for submissions is 15 July 2019. Please access the corresponding Call for Papers with the following link: Full CfP.